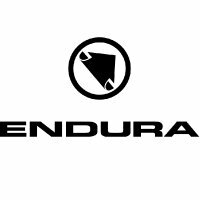 DESIGN PHILOSOPHY With the Pro Aerogel Mitt Endura set out to make a road bike glove that was both breathable and durable. Taking into account the breathability issue that might arise from using dense gel padding and added voids between the gel sections to promote airflow and prevent overheating, leaving you to focus on the ride. FABRIC TECHNOLOGY The back of the hand is constructed in high stretch wicking fabric with elastane for powerful support. The palm is in a durable but flexible micro-fibre. AEROGEL TECHNOLOGY Gel isn’t breathable, so in order to prevent over-heating the gel sections have been designed with voids to allow airflow. These gel sections are held in place by a durable perforated overlay to ensure that impact protection is not compromised.The Aerogel padding is in our exclusive Palmistry design, which follows the natural lifelines of your hand, guarantees ergonomic comfort on longer rides. A silicone palm print provides effective bar grip when the going gets wet. FUNCTIONAL DETAIL The glove is held securely at the wrist with a Velcro adjuster strap. And a wicking terry sweat wipe is located on the thumb. Finger tabs make it easy to remove the glove.